Ever since a video of them in action was uploaded to the internet, people cannot have enough about mermaid pillows. 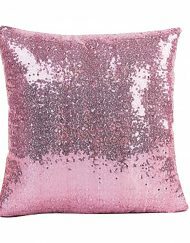 These pillows, decorated with sequin, have become the delight of many a homeowner. 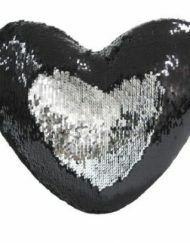 Interior designers also love these pillows due to the ease with which they can transform the looks and feel of a room. 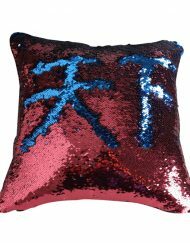 If you are planning to give your room a makeover but without spending a lot of money and effort, mermaid pillows might just be the solution you are looking for. Here are some of the ways you can use them for giving your room a different aesthetic. You need an odd number of pillows to achieve this look. Three or five pillows will be enough. Pairs of pillows will give a traditional feel so it is best to avoid such a situation. A good option would be to use bigger sized pillows instead of the smaller ones. Smaller pillows can feel jumbled up and, thereby, ruining the effect. The shape of these pillows should be square. The perfect size is from 18 inches to 24 inches across. They should be large enough so that the color of the pillow is properly showcased. 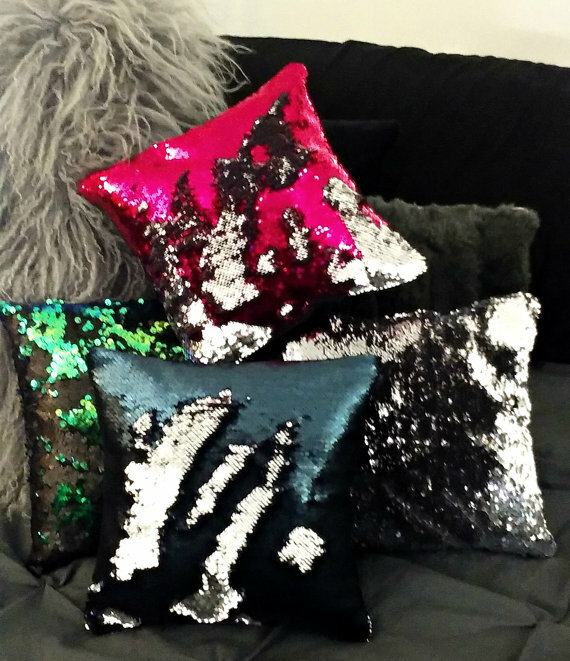 Instead of keeping the mermaid pillows have a solid color scheme, design some patterns on them. However, both patterns and solids work pretty well in a modern aesthetic. On the other hand, the color pallet must be limited. There is no need whatsoever for too much color. If you want your room to have a traditional look, you should get your mermaid pillows in pairs. 2 or 4 pillows can work beautifully in such a setting provided that the pillows are large enough. Place the pillows on both sides of a sofa in equal numbers. Your aim should to ensure a sense of order and symmetry into the overall look. As for the size of the pillow, it will be determined by the size of your sofa. 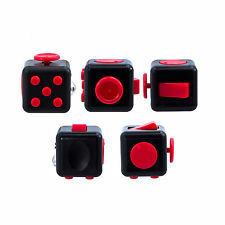 You need them to be of the right size so that they can please the eyes. Square pillows can work really well. A good size would be 20 or 22 inches across. However, you can change the size to match that of your sofa. Opt for colorful mermaid pillows so as to keep things lively. Don’t forget to create patterns on the pillows. When you are trying to achieve an eclectic look, don’t go for mermaid pillows in pairs. After all, an eclectic look is about asymmetry. Therefore, create asymmetry by using 3 or 5 pillows. The low number ensures that the pillows don’t end up cluttering the sofa. The idea is to make it seem that the pillows have been placed randomly without a thought. For example, you can keep 3 pillows on one side and 2 on the other. The pillows you have chosen should be of a similar size. Larger pillows work well in these cases. You can opt for different color combinations with the pillows as long as there is one color in common. Mermaid pillows are great items for interior design. However, make sure that you buy the best. Pillows are very important when it comes to sleeping. Read more here about the importance of pillows and sleep.